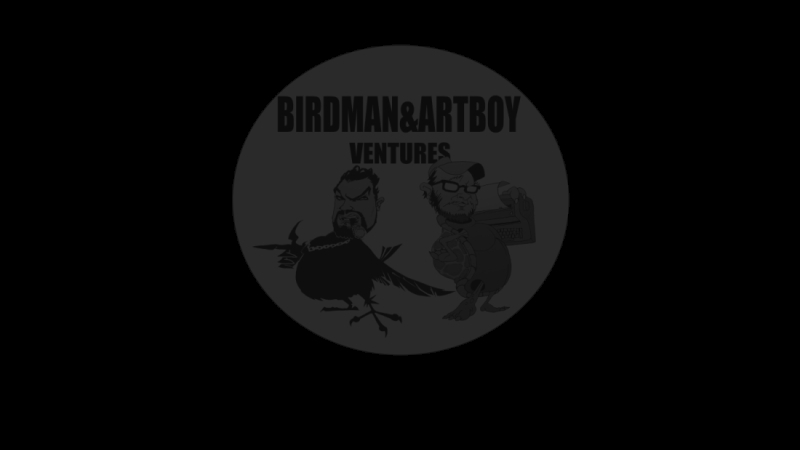 "Birdman&Artboy Ventures" is an independent filmmaking cooperative founded and operated by Lucas Vossoughi (BIRDMAN) and Artur Golczewski (ARTBOY), a "dynamic duo" of rookie filmmakers, set out on a quest to touch and titilate, engage, express and entertain by the means of the seemingly almighty medium of film. We are interested in producing visual narrations off the beaten track utilizing any device required by the dramaturgy of the narration, be it surreal imagery or classic tableaux, innovative sound or kitschy violins, abstract narrative structure or hollywood dramaturgy, in short any tool necessary to transport the story. We neither strive to make a "classical european art-movie", nor "soulless popcorn-cinema", we strive to walk the path inbetween, creating narration which can be entertaining and thought-provoking simultaneously. BIRDMAN is the Chief-Filmmaker of the cooperative, helming all projects of "Birdman&Artboy Ventures" as the director, while ARTBOY is the "storyteller" of the duo, responsible for the conception and execution of the used narration, in short the screenwriter of "Birdman&Artboy" flicks. Behold the backstory: We met in a legendary Vienna Videostore, where we soon realized numerous parallels in our understanding of film, a surprise, BIRDMAN being an active media artist and ARTBOY a nuclear scientist (no kiddin'). The quest began then, and we hope to bring you lots of joy and pain on the silver-screen. If you just let us. By the way, if you want to know more about the "faces" behind BIRDMAN and ARTBOY, just click on the respective animal. We make movies. We have to. We hope you like them. Enjoy your stay on our webpage!